There are plenty of reasons to learn how to drive, being able to get to places much quicker being one. But, there is also no doubt that drivers love to drive fast. There is something about being behind the wheel of a car that makes us want to put the pedal to the metal. Obviously, you can’t go one-hundred miles an hour because that is dangerous. Still, it doesn’t mean you can’t drive fast where the speed limit says it’s okay. If you want to get the most speed out of your car, here are a few tips. The overall speed of your motor is dependent on its weight. If it is too heavy, the materials will weigh the car down and stop it from accelerating. For the most part, the weight is hard to reduce because the components are vital to making it work. But, there are a few tricks of the trade you can try. The first is to swap any heavy materials with aluminum as it is a much lighter metal. Aluminum alloys are a great choice because they make the car less heavy as well as safer and more efficient. You can learn about aluminum alloys used in auto industry by following the link. If that sounds like hard work, take out any unnecessary items. Do you piles of trash in your car? Start with that and move onto the next one. Any car that isn’t in good shape isn’t going to go fast. That is a fact and one that you can’t get away from no matter how hard you try. The key, then, is to keep your motor in top condition to get the most out of it with regards to speed. You should particularly look at the exhaust and engine as these affect the power output. If they start to degrade, the whole power system will begin to fail. How do you maintain these parts of the car? Well, you can start with a good clean. Hose down the underside of the car to get rid of any dirt and bacteria and wipe it down. You can also add a protective layer to stop rust from eating away at the metal. Also, pop the hood and check the brake fluid and oil levels. With cars, everything adds to the speed. Drivers make the mistake of thinking that speed is all about power and acceleration. It isn’t because you need to be able to brake in time to get the most from your car. And, if you don’t have good brakes, that won’t happen. With that in mind, you need to invest in a good set of brakes so that you have the confidence to brake at the right moment. 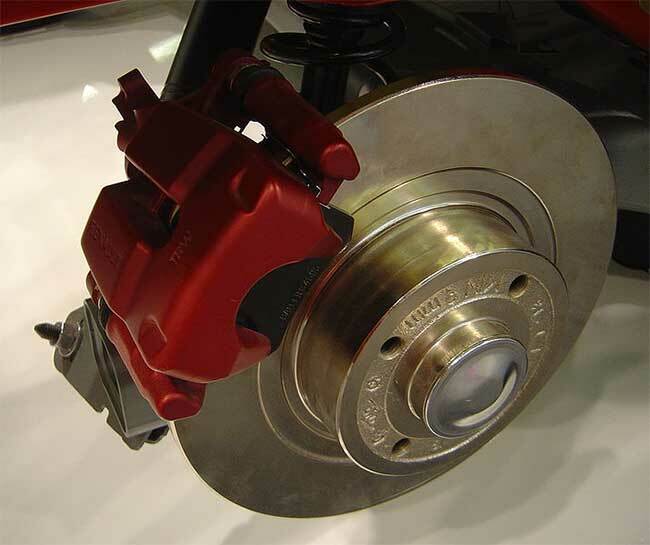 Bad brakes will make you stop much earlier, and that will slow down the car considerably. Disc brakes are the best option because they perform better under duress. Remember that you should always drive carefully. But, these tips will help you go faster in legal zones.